We build computers for the masses, not the classes. Behold, the Ultimate Emulation Cabinet! Man has climbed Mount Everest, gone to the bottom of the ocean. He’s fired rockets at the Moon, split the atom, achieved miracles in every field of human endeavor… except crime! The same could be said for video game emulation. People have built cabinets to house computers running game emulators, complete with sturdy joysticks, buttons and even rollerballs, all in the attempt to replicate that authentic arcade game feeling. Well, nobody has ever built anything like the MVGS2 Dream Station, made by Frenchman Patrice Daubaire. The system runs a custom emulator called Multi Video Games System 2, reproducing 34 retro game consoles. This is impressive in itself, but the kicker is that the system handles 75 separate game controllers, that have been adapted with unified connections so they are interchangeable between systems. Emulation is all fine and dandy, but the ability to easily plug in authentic controllers in order to play makes for a near-perfect classic gaming experience. I love the revolving controller case, like you’re shopping at Birks Jewelry. This entry was posted in console, emulation on September 8, 2013 by William. Today in our The 12 Video Games of Christmas feature, we have Midway Arcade Origins for PS3, developed by Backbone Entertainment and released by Warner Bros. Interactive. Warner Bros. picked up the assets of Midway when the company filed for bankruptcy in 2009. 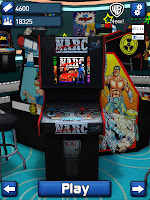 Their presentation here of 30 classic Midway arcade games is certainly a no-frills affair, where you merely quickly cycle through the cabinets to choose your game, while the murmur of a busy arcade plays in the background. A nice option though is being able to tag games as favourites, so you can use that option to quickly find the cabinets you prefer to play on. You also get access to operators switch options, letting you do things like change difficulty or add more lives. Unfortunately, there are no bonuses or history offered. There could also be some more options given for configuring controls in the games, although most of them feel pretty good on the PS3 gamepad. It’s also great to see these classics up on the big screen, bezel art and all. A high score leaderboard system helps you keep tabs on your friends’ activities in the arcade. 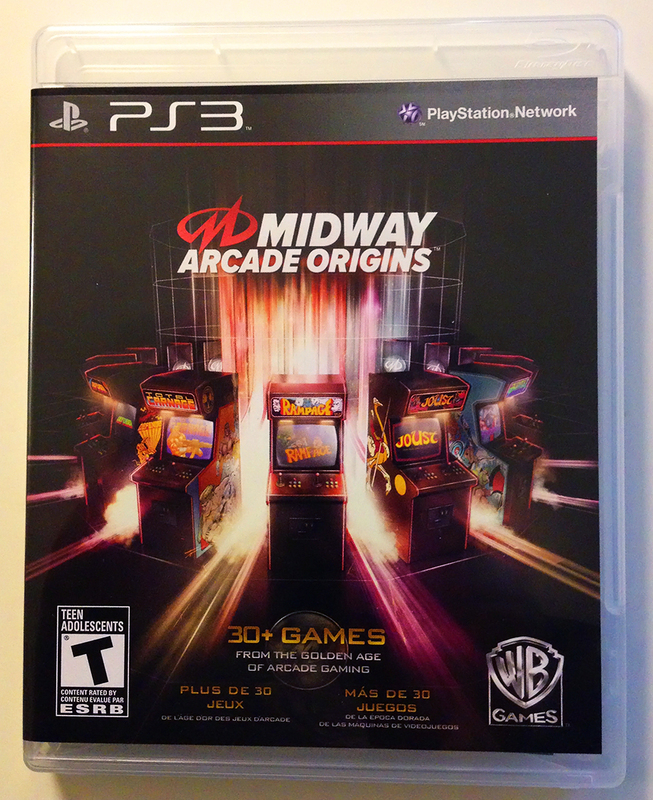 I wouldn’t exactly call this collection the “origin” of Midway’s storied past in the video game world, but it certainly is a cornucopia of gaming goodness from the company. This entry was posted in 12 Video Games of Christmas, collection, emulation, Midway, PS3 on December 23, 2012 by William Hunter. The 12 Video Games of Christmas continues with Ms. Pacman for iOS. 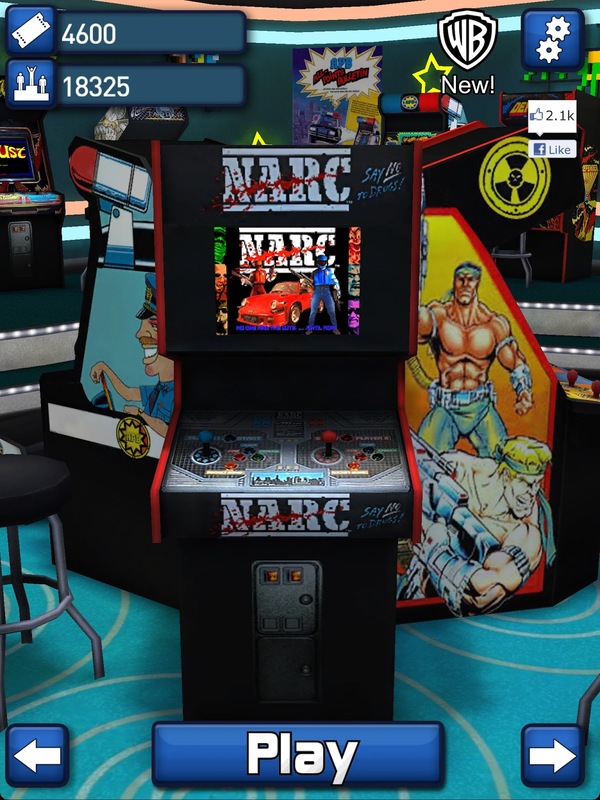 Now, this one was before my time but I have actually played an arcade cabinet of this before. I can remember playing this and Operation Wolf at an old boardwalk arcade when I used to live in the UK. I was pretty young so I had to stand on a milk crate to play them. I remember having a great time with this because at its core the game is classic Pac Man action. It’s all here; the classic gameplay is replicated in style with a neat cabinet style controller interface down the bottom of the screen and faithfully recreated gameplay. If you’ve ever played the game before and are wondering just what the difference between the two games is here is the short version: Ms. Pac Man features redesigned mazes in four different styles, moving fruits, random ghost movement making predicting their movements a lot more challenging and new music and sound effects. 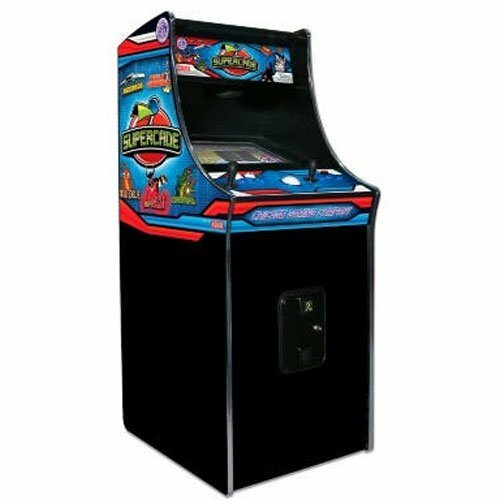 There is a reason these arcade games were so popular (and let me tell you, Ms. Pac Man was one of the most popular arcade games of all time!) and if you want to get in on the arcade action you can drop some iTunes credit here and download the game to your iOS device. Were you addicted to pellets back in the day? Share your stories of obsessive Ms. Pac Man playing in the comments section. No intervention required. This entry was posted in 12 Video Games of Christmas, emulation, gift, iOS, mobile gaming, Ms. Pac-Man, pac-man on December 22, 2012 by William Hunter. Wrapping up an entire video game arcade is a little tough. Today’s entry in The 12 Video Games of Christmas makes it a whole lot easier. The Atari’s Greatest Hits app is a masterfully made collection of classic Atari arcade and VCS/2600 games, available for both iOS and Android. “Options” is the operative word here, and Atari provides plenty of. The app is available for free, and with that you get Atari’s cold-war influenced arcade game Missile Command. If you want to add to your classic collection, you can: download 4-game packs for $0.99 each, buy a pack of 15 tokens for $0.99 that lets you sample any games you wish, or buy the whole shebang of 100 games for $5.99. What’s even better, though, are the myriad of control options you get. You’d be justified in worrying how a mobile app would handle the wide gamut of control options you get in the long history of Atari games, like the trak ball in Centipede to the thrust controller of Lunar Lander to the VCS paddles of Video Olympics and more. The Atari’s Greatest Hits app serves up multiple ways of playing the game, sometimes with 7 or more configurations; fixed joystick, touch-screen control, fire button on the right, fire button on the left, on the top, on the bottom… it’s a given that you’ll find some way to play the game comfortably, either in portrait or landscape mode. 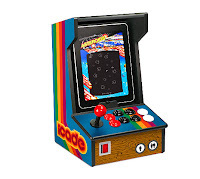 What’s more, this app was the first to offer support of the mini-arcade cabinet iCade, and Atari has since come out with their own official Atari Arcade joystick for the iPad. It’s not as retro-cool as the iCade, but it comes in lighter in weight as well as price, selling for $59.99 as opposed to $99.99 for the iCade. All these options, plus 2-player simultaneous play via Bluetooth for some games. The Atari’s Greatest Hits app lets you defy physics by stuffing an entire arcade into the stocking of the retrogamer in your life. Get it here from Apple’s app store, or for Android at Google Play. This entry was posted in 12 Video Games of Christmas, Atari, emulation, gift, mobile gaming, vcd on December 19, 2012 by William Hunter. The arcade in your home! Our entry today in The 12 Video Games of Christmas comes in its own beautiful wooden box: the iCade. This squat and sturdy mini-arcade cabinet started life as an April Fool’s Day prank in 2010, part of a tradition at the ThinkGeek website that also spawned the tauntaun sleeping bag. As the iCade joke post went viral, however, response for a real device was so strong that ThinkGeek teamed up with ION Audio to actually produce it. ION Audio is the consumer brand of Numark Industries, makers of professional DJ equipment. 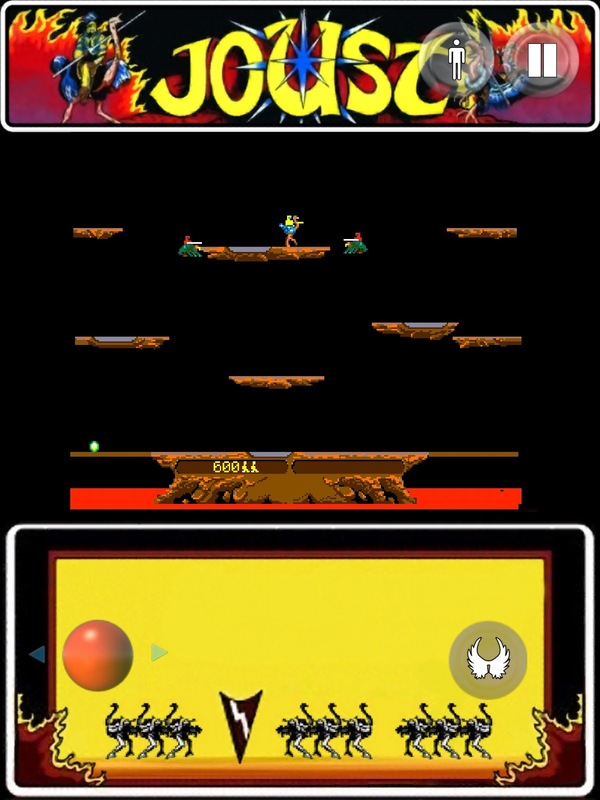 Also partnering with the project was Atari, and their classic game app Atari’s Greatest Hits was the sole compatible game program with the iCade’s launch on June 27, 2001. As stated, the iCade is solidly built, a wooden cabinet into which one slides any generation of iPad. The two devices connect via Bluetooth, after which compatible apps will display the iCade as a controller. Since launch, the list of supported apps has been growing, including Midway Arcade and the recently released Vectrex Regeneration. The iCade’s joystick is professional grade, although its action could be a bit tighter. The buttons, all eight of them, are rock solid and have a real arcade feel. Overall, the iCade goes a long way to mitigating the control problems you generally find playing classic games on mobile devices. The cabinet is available from ThinkGeek and various retailers, usually selling for $99.99. Currently, however, ThinkGeek has them on sale for $69.99. Recently ION has released the iCade Jr., a similar device for the iPhone, but I think this is delving a little bit into the ridiculous. It is a bit cheaper, however, going for $49.99. Buy the retrogamer in your life an iCade, and you are truly giving them the gift of the arcade. This entry was posted in 12 Video Games of Christmas, Atari, emulation, gift, icade on December 15, 2012 by William Hunter. Continuing today with The 12 Video Games of Christmas retro game guide: Santa’s elves have been busy on the assembly line. For even quicker results than Santa, here’s the Amazon link. Go ahead, press the 1-Click button. Your rec-room will thank you for it. This entry was posted in cabinet, emulation on December 13, 2012 by William Hunter. Today we start our 12 Video Games of Christmas feature, where we spotlight a game a day that would jingle a retrogamer’s bells this holiday season. In the stocking today is the Midway Arcade app for iOS devices. It is a universal app that works for both iPhone and iPad. It is a collection of 10 classic titles from Midway, one of the first manufacturers of arcade video games and producer of such classics as Gunfight, Sea Wolf, a little number imported from Japan called Space Invaders, among many, many others. 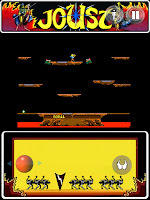 This app features some of the later games of Midway. It gets to be a bit of a broken record with reviews of classic game emulation on mobile devices, but a real problem here are the controls. There aren’t many options for adjusting the nature of the virtual joystick, and the tilt-controls are a bit wonky too. Driving games like APB and Spy Hunter are a lost cause. 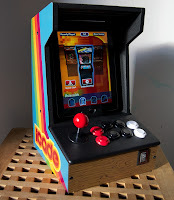 A mitigating factor here is that Midway Arcade supports the iCade, a mini-arcade cabinet with a joystick and button array, which you just might see under the tree later in this series. Since the iCade lacks a steering wheel, it doesn’t help much to control the vehicle games. Midway made some great games for the arcades, and Midway Arcade brings that shifty, smokey coin-op jive right onto your iOS device. This entry was posted in emulation, iOS, Midway on December 12, 2012 by William Hunter. Have You Played Atari On iOS Today? Atari and Vancouver developer Code Mystics have dropped a metric tonne of retro joy onto the Apple App Store with Atari’s Greatest Hits, for iOS devices. The app allows you to play up to 100 classic Atari games; a few of their most famous arcade entries, but the majority of games come from the catalog of games released for the VCS/2600 home console. Only a small sampling of games are available for free, with 4-pack game downloads available for .99 cents, or you can get the whole 100 game enchilada for 15 bucks. The app is universal, and I’d recommend playing it on the iPad, as the arcade games feature a representation of the original screen bezel, which shrinks down the playfield a bit too much on the iPhone. The games offer both landscape and profile mode, but not every one has that option to switch. The control methods on offer vary as well, and some work decidedly better than others. On the whole, however, I find the sliding controls that invariably represent dials or trackballs to be too sluggish, and their speed is not configurable. This definitely needs to be addressed by a patch to make these games workable. As for joysticks, the small virtual button that stands in for the stick is small, and I find my thumb constantly sliding off of it, or worse: pressing a different direction or multiple directions as once, deadly for games like Asteroids that put different, drastic actions like thrust or hyperspace on the up and down joystick positions. Classic video game emulation is often slagged for missing that intrinsic satisfaction that comes from holding a joystick in your hand while playing. Since precise control is sometimes the only thing going for these games, in particular those for the VCS/2600, the sluggishness on offer here is pretty close to a deal-breaker. Sometimes the controls work, however, as evidenced by the sliders that control the paddles in PONG. But if you really want to capture that arcade feeling, the iCADE, set for release in June, will scratch that itch. Originally a clever 2010 April Fool’s joke perpetrated by Think Geek, intense user demand has actually made the crazy idea reality. Greatest Hits has support for the iCADE built right in, and makers ION will be releasing an API that will allow other games to support the mini-cabinet. Even without the iCADE, however, Greatest Hits is a wonderful app for classic video game aficionados. They will also be jazzed about the extras that come with some games, such as game artwork, scanned colour manuals, and more. Some, however, are concerned that the package is infringing on iTune rules about apps downloading and running external code, represented by the ROM code downloaded in the game packs in order to play these classic gems. A double-standard does seem to have been set with the acceptance of Atari’s Greatest Hits into the app store. So perhaps games looking for a little nostalgia had better grab this baby fast. This entry was posted in app, Apple, Atari, emulation, icade, iPad, VCS/2600 on April 9, 2011 by William Hunter.